The Teatro Colon of Buenos Aires has presented its program for the 2010 Season. After three years of restoration works, the companies will return to the theater's concert hall, that will be inaugurated on May 24th, 2010, with a Reopening Gala in celebration of the May Revolution Bicentenary. The 2010 Season will feature great figures as Daniel Barenboim, Zubin Mehta Paloma Herrera, and Yo-Yo Ma. The Buenos Aires Philharmonic Orchestra, directed by Maestro Enrique Arturo Diemecke, will offer a series of 18 concerts every Thursday at 8 pm, starting on June 3, 2010. The invited directors will be Alejo Pérez, Rosen Milanov, Isaac Karabtchevsky, Eiji Oue, Ilan Volkov, Giancarlo Guerrero, Shi-Yeon Sung and Günther Neuhold. Click here to see the complete program. Free series of concerts one Sunday of every month by renowned Argentinian chamber groups. A total of 8 concerts that will get together some of the most resounding figures in the season: Daniel Barenboim, Zubin Mehta and Yo-Yo Ma. Tickets for all the performances on sale from May 21st, 2010. The Opening Gala on May 24 is not open to the public, but by Invitation by the Government of Buenos Aires only. For more information, visit Teatro Colon official website. Is it possible to obtain tickets for good seats to the Re-Opening Gala on May 25th? Will this be a formal affair? I am so happy that I found your site which offers a trove of information. At the moment only season's tickets are on sale. I imagine there will be many invited guests so I'm not sure there will be any tickets available. Please email me if you want me to find out about tickets for you. The Galas at Teatro Colon are always very formal. I'm glad you liked my site and I hope you find useful information. 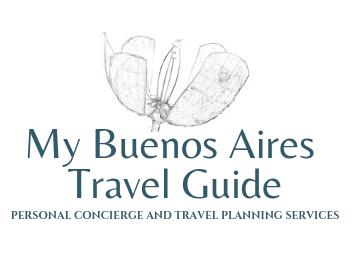 My husband and I will be in Bueno Aires in November and would like to get tickets to El Corsario. Can individual tickets be purchased elsewhere or are season tickets a requirement for all productions? Individual tickets will go on sale after the season tickets, by the end of April. There's no information yet. Fell free to contact me in a couple of months so I can find out this for you. Do you know if there is any way to buy individual tickets for the Yo-Yo Ma performance on June 11? I would like to attend La Boheme on May 26th with my boyfriend while we are in Buenos Aires that week. Can you suggest the best way to get tickets? Your website is a wealth of information! Thank you. We are travelling from Australia to Buenos Aires in July and would like to purchase tickets to Don Giovanni at Teatro Colon. I believe that tickets can be purchased via tuentrada.com after the season tickets, however it seems an account cannot be set up from Australia. Do you have any recommendations? There's still no information on when the sale of the individual dates will start. Availability will also depend on the number of seats left after the sale of season's tickets, which ends on April 23. They will surely go on sale through tuentrada.com, but I know it is very complicated to purchase online from abroad. If you need help please email me. My husband and I intend to be in Buenos Aires in June and I can't find tickets for Yo-Yo Ma in tuaentrada.com. Is there another way to buy these tickets? We are in São Paulo / Brazil. Gisele, there's still no information. I will inform as soon as there's any news. You are sent from heaven! We want 2 tickets for the 26 of May at the Colòn teatro. What is the very best way to make sure that we won't miss that event as we go back to Canada on May 27. Tickets will go on sale only 5 days prior to the performance, and I'm afraid it will be very difficult to find tickets available. So the best way to make sure you get your tickets is to be at the Theater's box office as early as possible on May 21. Please email me if you need further assistance. Latest news: Individual tickets for all the performances will go on sale on May 21st, 2010. Your website is so much more helpful than the owner of the B&B we're staying at. I just looked at the tuentradra and the July 13 performance is still not listed. Are tickets only available via phone or in person? When will they become available online? Thank you so much! I'm glad that you found my website useful, thanks. I've just checked on tuentrada and the tickets for July 13 are in fact listed, and it seems there are still a few available. But In case you can't purchase online, I recommend that you go to the theater's box office, they open 9 am. Email me if you need more assistance. Any chance you know if they release any last minute tickets the day of a performance? Or if there might be people selling tickets outside before a performance starts (as often happens at sold-out concerts in the States)? I don't think they sell any last minute tickets on the day of the performance, but you can always try at the theater. About people selling tickets outside, as everywhere else this is prohibited, but always possible. I can't really tell. won't there be anything happening at Teatro Colon from 05/08 to 08/08? I'm sorry but I'm afraid there's nothing on those dates. Thanks for the great website! I was looking in Teatro Colon and there seems to be these dates for performances for Centro de Experimentacion - do you know what that is, and if they are indeed performances, they will be inside the Theatre? I'm glad you liked my site, thanks! Centro de Experimentacion was created to encourage and present new works and artists. Their performances are not at the main concert hall, but at a special room in the basement of the theater. Tickets can be purchased at the theater's box office. Thanks so much Sandra. It will be my first time in BsAs so really looking forward to it. I am still debating whether to stay in Palermo Soho or in Barrio Norte... and thinking about attending the milongas to watch tango (but I can't dance so...) and just appreciate the culture that way. Any thoughts on those? Thank you thank you! Hi Sandra, I didn't get a chance to email you before I had left! I'm now back in town and I had to say it was an amazing place. I ended up going to Salon Canning to watch tango which was awesome. Thank you!!!! we are trying to get tickets for Teatro Colon for November 7 or 8th. It is hard to get the schedule of what is available and how to buy tickets. Suggestions?? Tickets for the performance of November 7th will go on sale on October 20. I will be visiting Buenos Aires from the US and would like to purchase tickets in advance for El Corsario on Oct 29, 30 or 31. Is there a way to buy online (I could not find it listed on the tuentrada site) or at the box office when we arrive in advance? Please advise - thanks! I saw on tuentrada.com that tickets for the 30th performance of el Corsario will go on sale on 10/20 yet I am on the site and can not find it. Has the date changed? I read that tickets for el Corsario for October 30 will go on sale on Oct 20. However, I am looking all over the website and do not see any new tickets offered for either October 30 or November 5. Do you have any additional information? Thank you. I really don´t know what happened. I also thought they were going on sale today. I haven´t heard of any cancelation so maybe they are just taking too long to update the website, please keep checking. Do you know when the 2011 season will be announced? We will be in Buenos Aires in mid March. I still don't know, but I'll sure post about it as soon as it is announced. Ci sarà l'orchestra del Teatro bellini di Catania al Teatro Colon l'8 e il 10 novembre per due concerti? Non ci sono concerti di questa orchestra sul programma del Teatro Colon. We are going to be in buenos aires from 29th nov to 3rd dec. Do you know if there is any performance we can still get tickets for? As the tuentrada website seems to say no performances? There are performances of Falstaff on November 30th, December 2nd and 3rd, but there are only standing tickets available for all three performances. Thanks for your help! Do you know if it is possible to purchase the standing tickets in advance or do we have to go to the box office? I couldn't see them on the normal website. We only arrive in buenos aires two days before so were hoping we could buy them before we arrive in case they sell out. Thanks so much for your advice! You have a wonderfully helpful web site. We'll be in Buenos Aires December 6-9 and wonder if the tours in English at Teatro Colon will have been resumed by then. I can't find any dates on the internet. I see that there's a production on December 7th, but I can't tell what it is. Orchestral new music or pop music? Any information you can pass on would be great! Thanks Jo Ann. I'm sorry but the tours inside the Teatro Colon are not being offered this year. I really don't know what's the program for the concert on December 7th. It has to be contemporary orchestral music, for sure not pop music at Teatro Colon. Unfortunately nothing has been programmed to replace the canceled ballet performances. Though my Spanish is minimal, it appears to me that all performances at the Teatro Colon have been suspended. Am I correct about this? I will be in Buenos Aires from 12/18-26 and would welcome the opportunity to see anything in this beautiful venue. yes, it's a shame, but all performances from now until the end of the season have been canceled. 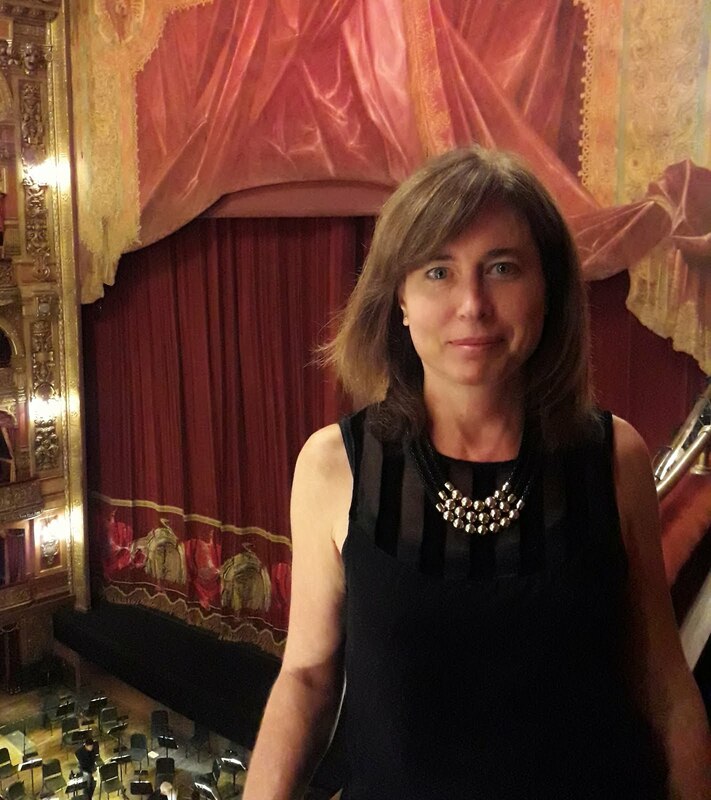 Hi Sandra, Are there tours of Teatro Colon scheduled for December? Hi. No, there are no tours inside the Theater this year.